The Ultimate Garage offers endless storytelling and vehicle action play! This enormous playset features parking for 90+ cars, a massive double lane loop, and a surprise shark attack that fuels kids' imagination! 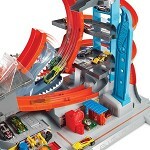 Zip up the speedy two-car elevator with the press of a button. 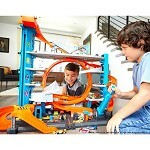 Race down through the multi-level garage, catch massive air and stick the landing of the epic tunnel jump. 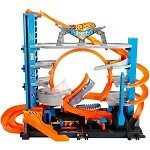 Then rev your engines and pull back the launcher to take on the biggest double lane loop in Hot Wheels City. Watch out, a Shark might pop out and devour your car! 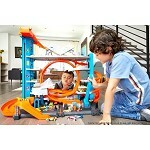 At the base of the garage, kids can tune up their cars and refuel before heading back up the elevator for another race. The garage also has multiple connection points to connect to other Hot Wheels sets for a customizable world of track and play. 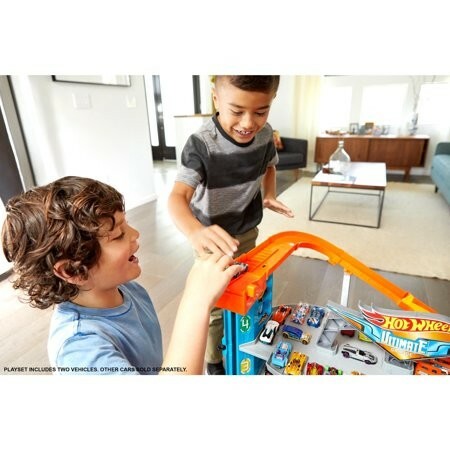 Hot Wheels Ultimate Garage comes with two Hot Wheels vehicles! 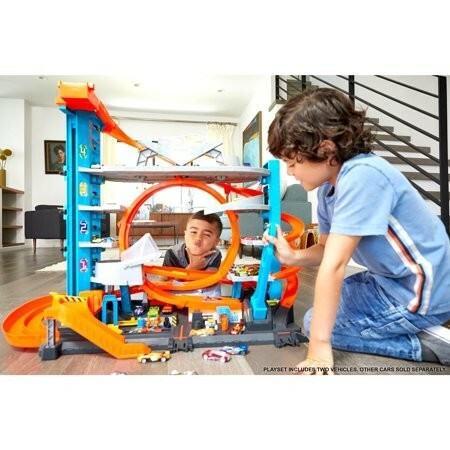 Inspire hours of imaginative play with an enormous Hot Wheels garage - a vertical tower with parking (easy storage) for more than 90 cars!